FILE - In this Tuesday, June 15, 2010, file photo, workers at General Motors’ Lordstown Assembly plant in Lordstown, Ohio, put the final touches on Chevy Cobalts. 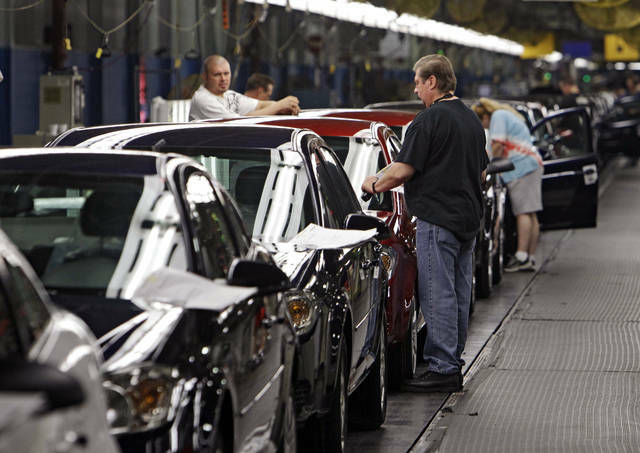 One of the last industrial anchors in what was once the heart of manufacturing in Ohio is now on life support after General Motors announced Monday it will stop small-car production at its Lordstown assembly plant and consider closing it for good. LORDSTOWN, Ohio — One of the last industrial anchors in what was once Ohio’s manufacturing core is now on life support, just a little over a year after President Donald Trump told people not to leave and promised jobs would return to the area.